Great thought!! People like me, who feel uncomfortable with iPhone keyboard can use this scribbling based app. Thanks for app development team in designing such kind of app. You might want to check your link as it gives a 404. Thanks for sharing feature with us. I liked your post. Keep sharing like these!!! Thanks... hope you keep reading! Great idea!! Are you providing this as Enterprise mobility solutions for corporate, because they might need these kinds of app. I've sent you a message via your site. Hi Munificus, Really loves your follow ups with all who share their thoughts in this blog. First of all i would like to congratulate the app developers who develop this on behalf of our experts app developers in atlanta. As a developer team we welcoming these kind of app development. keep up the good works. You've got a lovely city. Really enyoyed being in Atlanta a few years ago. very useful app as well as time saving. Keyboard typing free will make it more user friendly. Great mobile application development review. The developer advises that there has been an update to version 1.4.0 of the App. 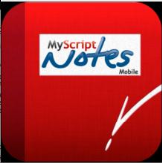 For users that enjoyed MyScript Notes Mobile, MyScript Smart Note is the next generation note-taking solution.